Rental properties on Hilton Head may have taken a beating in value but they have kept on ticking when it comes to rental income. While some values have dropped on rental properties (approximately 36%) on Hilton Head Island, the gross rental income has stayed fairly constant. Recently purchasers have warmed up to rental properties as they negotiate some very sweet deals on some of the best locations. Although investors have started buying these rental properties, we still have a few great locations available. Short term rental properties are defined as weekly or nightly rentals on Hilton Head Island. 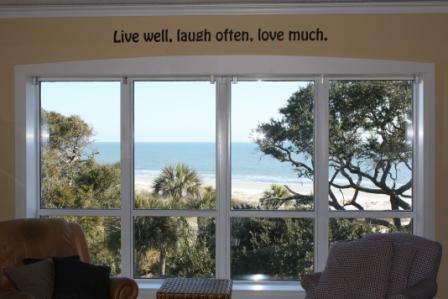 Rental properties include homes and villas and are rented by Hilton Head vacationers and visitors. Most owners sign up with a rental company to rent their property although some subsidize their entire rental program with a VRBO type internet site. Click for a sample Cost Analysis Estimate to see how rentals can help you offset the expenses of owning a great 3 bedroom oceanfront rental property. Whether long or short term rental is chosen, your Realtor can help you find a great property and get started on rentals. Hilton Head Villas ~ We refer to both townhomes and condos as “villas” on Hilton Head. Most often these properties are owned by out of state owners that rent these properties on the short term rental market when they are not using the property themselves. The Island offers 1,2,3 and 4 bedroom villas in rental areas including Sea Pines, Palmetto Dunes, Forest Beach, Shipyard and Folly Field. Hilton Head Homes ~ Buy a rental home on Hilton Head Island. Restrictive Covenants in communities often will dictate whether a home owner can rent their property by the week. On Hilton Head Island, short term rental homes can be found in Sea Pines, Forest Beach, Shipyard, Palmetto Dunes and Folly Field. Long Term Rental properties include Long Cove, Wexford, Leamington, Port Royal, Spanish Wells, Indigo Run, Palmetto Hall and Hilton Head Plantation. Quarter Ownership ~ Quarter-ownership includes 13 weeks of ownership with premier locations in Shipyard, Port Royal and Shelter Cove. These are both hassle free and headache free as the management company handles all the details. Rentals are great, prices are low, what are you waiting for? These Hilton Head properties are located in some of the best areas of the Island and are either priced with immediate sale pricing or offer some negotiation. Many of these sellers and their agents have realized to create a sale, the property must offer compelling pricing to attract a potential buyer. Unfortunately there is a very limited supply of homes and villas on an Island, so it is better to be here sooner, than to show up later! Please email us at islandrealtor@hargray.com or call us direct at 800-932-3652 to arrange a visit. Thank you.